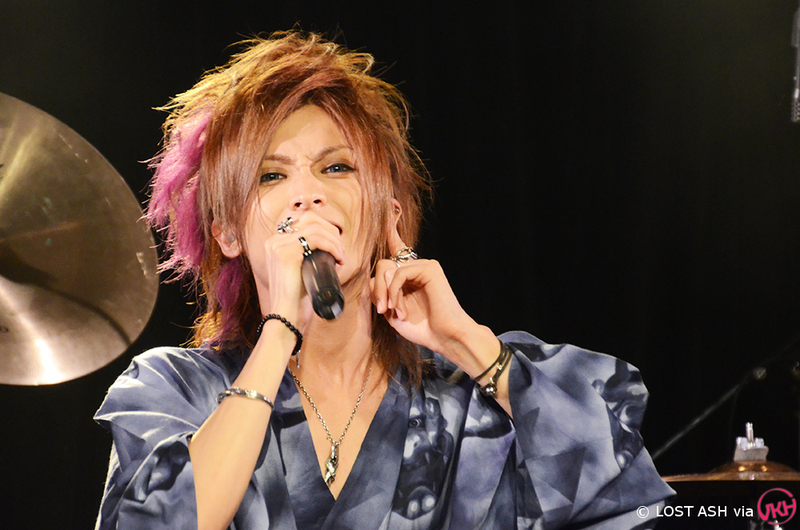 LIVE REPORT: LOST ASH PRESENTS SUMMER PARTY | VKH Press – J-Rock & Visual Kei Coverage Worldwide! To celebrate the summer this year, LOST ASH held a special live on August 3rd titled LOST ASH PRESENTS SUMMER PARTY. For this event, they promised a free copy of their Summer Festival Limited Edition DVD to any fan coming to the live wearing a yukata! It was easy to find the venue this time as everyone came dressed up in their yukata. Lots of girls and even a few guys were busy waving away the heat with their fans as more people lined up. They began to call ticket numbers and once you checked your ticket, you got to take a photo with the band. When the curtain went up, all of the band members were sitting on the stage in their yukata with a kakigori (shaved ice) machine. They began by talking to each other about the video of them at the zoo, which was shown at the venue while the audience waited for the event to start. Then they asked their fans questions like "Who went to the beach?" and "Who has been to a fireworks festival? Raise your hand.". Sai got up and welcomed everyone to "Sai's Kitchen." In this episode of "Sai's Kitchen" they were making kakigori, but with a twist. Since the band members don't like sweet things, they were going to make not-sweet kakigori. Sai announced that each kakigori would have a flavor to suit each member. The first was Dye who got pasta sauce flavored kakigori. After a couple seconds of eating he made a disgusted face. The members laughed at him and Daiki asked, "Does it taste like summer?" Dye rated the taste and gave it 0 points. Next was Daiki, who got laver boiled down in soy. He ate for a long time in silence then said it was delicious! He rated his kakigori at 50 points (they decided the most would be 100 points, while the highest score until then had been 70 point given by Show on their live program LA TV). Show got natto on his kakigori, but to everyone's disappointment he said that there wasn't really any taste. Still, he gave it 4 points because he said it reminded him of a side dish. Since he felt like he got the worst of everyone, Dye offered his pasta sauce kakigori to the others to taste. Show and Sai both tasted it and agreed it was disgusting, but Daiki refused to eat it at all. Next up: Bingo. Everyone took out bingo cards they had received at the ticket table. The members explained that there would be 4 winners who would receive a special prize. However, there ended up being 5 winners. Daiki handed the lucky winners special tickets and he announced that they had won the chance to meet the band backstage for a quick drink and chat.! Finally, when the bingo game was over, the members all talked for a bit longer. Sai commented on the terrible kakigori, and Show asked that everyone looked forward to the live. Daiki and Dye both commented on how cute everyone looked in their yukata and hoped that everyone would enjoy the live. The curtain closed, giving the members a chance to get their instruments ready while the audience all sat down for a quick break. At 6:30, the show began. Of course the best way to open the show was with the song made for the season: "SUMMER." As soon as the upbeat song started, everyone in the crowd waved their fans in time to the beat. Daiki also had a fan and used it to direct the audience and encourage them to go crazy and wave even more. The entire stage was lit up with colorful lights giving off a cheerful summer feeling. All the members were smiling at the audience as they started the show in high spirits. Next up was "ROYAL ORDER". While Daiki rapped, the crowd all did rap hand motions along with him. At one point, he yelled: "Everyone's so cute!". There was a short pause, then, before the opening notes of "Remain ～Ai no Kakera～" began to play. Daiki stood at the center of the stage with his arms held out. All the members were completely serious as red and blue lights flashed along with the melodic guitars and piano. When the song was over, Daiki thanked the crowd who responded with screams and cheers of encouragement. At this point, there was a brief MC. Daiki told the crowd that this was the event that they looked forward to the most. He commented again on how cute everyone looked in yukata. For the next song, he demonstrated a special move where everyone had to hold hand and sway back and forth. Once everyone was in motion, the next song, "KEEP ON" began. Show played the catchy riff and the audience clapped along to the beat. At the right time, everyone held hands, swaying together. It added to the fun atmosphere of the performance. After the high energy of "KEEP ON", there was a dramatic transition as the venue went completely dark and silent. Spotlights shone on stage as Daiki began singing the first lines of "ENDLESS LOVE". When it was over, the music flowed into "twilight," keeping the mellow atmosphere. Not wanting to keep the crowd waiting for too long, they switched things up again, playing the song "ID," causing the crowd to go wild. Both the audience and the band members went crazy. Everyone was jumping and head-banging. There was another MC after this, during which Daiki asked the other members what it felt like doing a show in a yukata. Sai said it was fun and refreshing and the others agreed. Daiki got the crowd hyped up with a call and response session in which everyone repeated after him. At this point he teased the crowd saying that they better yell louder. "No good! No good!! Just because you're in a yukata doesn't mean you have to be polite! We're in yukata too!" he said. After the MC, they played their latest song "MESSAGE", quickly following it up with "MASK". Despite the obvious heat, everyone kept up adding to the already insane energy. Daiki kept encouraging the crowd yelling "Come on!!" all the while. They transitioned into "EGOIST" with everyone jumping in time to the beat and you could feel the floor of the venue vibrate. 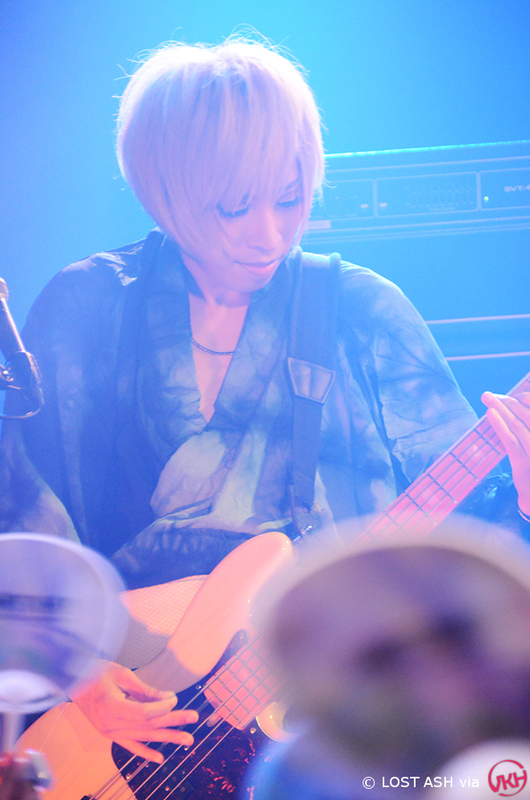 Daiki and Show switched places, giving Show center stage when it was time for his guitar solo. In what felt like no time at all, Daiki called for the last song "Deadly44". With no holds barred, the band gave it all their energy. 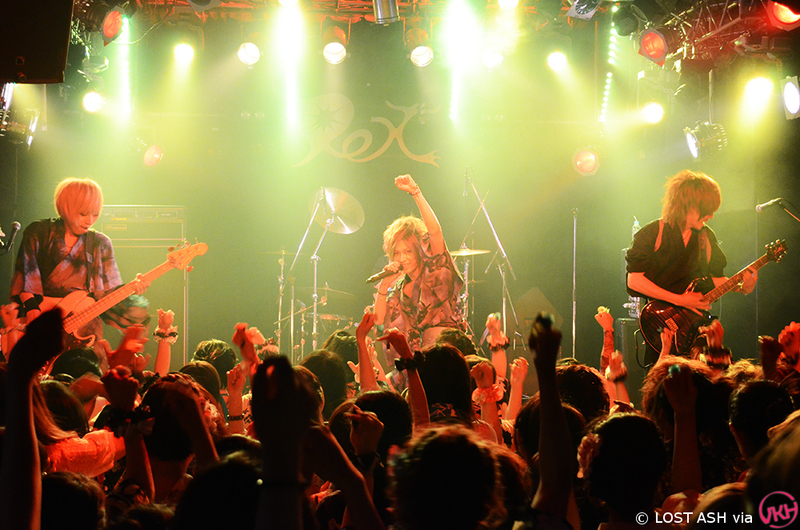 Dye pounded at the drums while Show, Daiki and Sai switched places moving around the stage and edging on the crowd. Once the song was over, the members left the stage and the curtain fell. The crowd immediately started to chant "One more song!" in English. The chanting only died down when a special video began playing. This time it was a video of the band at the park with a blindfolded Daiki trying to hit a watermelon with an umbrella. Immediately after the video ended, the curtain rose and the band began their encore. This time it was just Daiki and Show playing "DEEP XXXX" for the first time on stage. 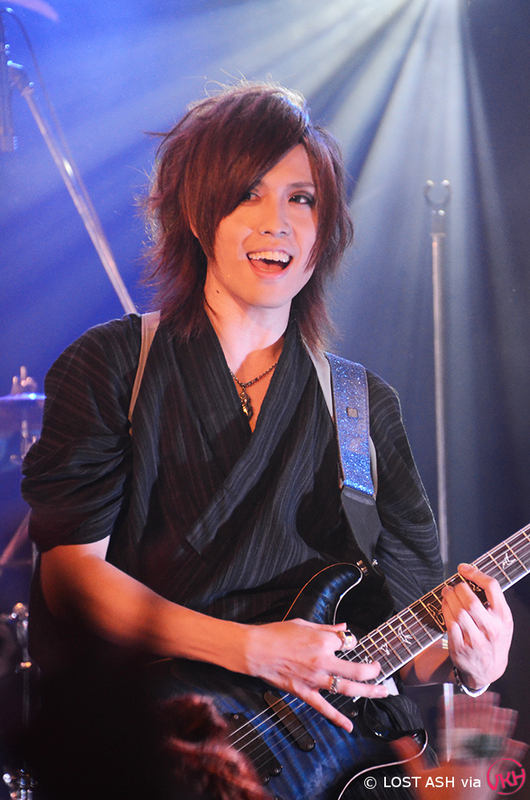 The other members returned one by one while they were playing, with the last being Sai, who came on stage with a cake. He started to sing Happy Birthday to Show, who's birthday was on the 23rd of July. Show was surprised because he wasn't expecting anything. He thanked everyone and swore that he would continue to do his best. 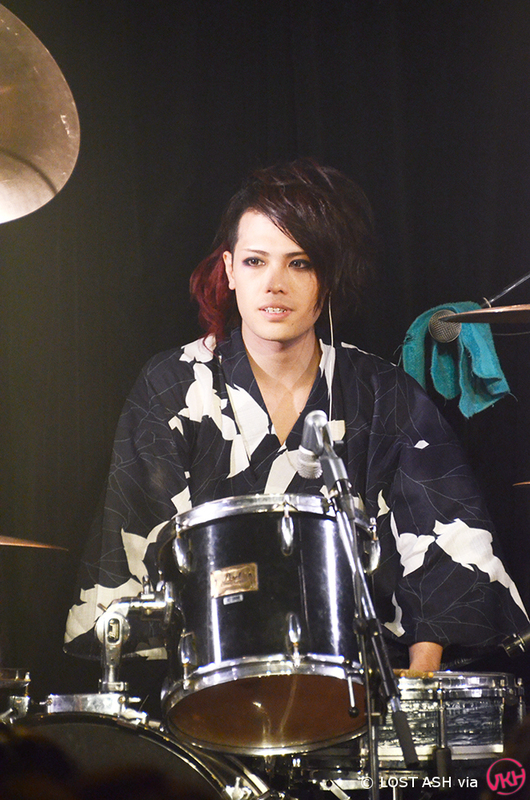 At this point Sai promised that everyone who wore their yukata would receive the DVD present as promised. Daiki and Show jokingly wondered if opening their yukata would make things more exciting. Then Daiki and Show talked about the acoustic live that they had held the previous day. When the members finished chatting, they put the crowd back into high spirits with the catchy "GIMME A BREAK!". Everyone was waiting for the chance to go crazy once again. Before the last notes of the song even died out, they began playing "REALIZE". The song that followed, "Avalanche," was the most fun as the crowd formed a mosh pit and jumped back and forth. Show displayed his impressive guitar skills during the solo. When the encore came to an end, the band was reluctant to leave the stage and the crowd definitely did not want them to go. Even when the curtain fell and the lights came on, the crowd continued chanting. To everyone's surprise, there was the sound of drumming, then the curtain rose. The band decided to end the way they had started and play "SUMMER" once again. The excitement that washed over the audience from this surprise was incredible. Everyone got their fans out again to end the concert in true summer style. Special thanks to Nesshin Music for giving us this opportunity!